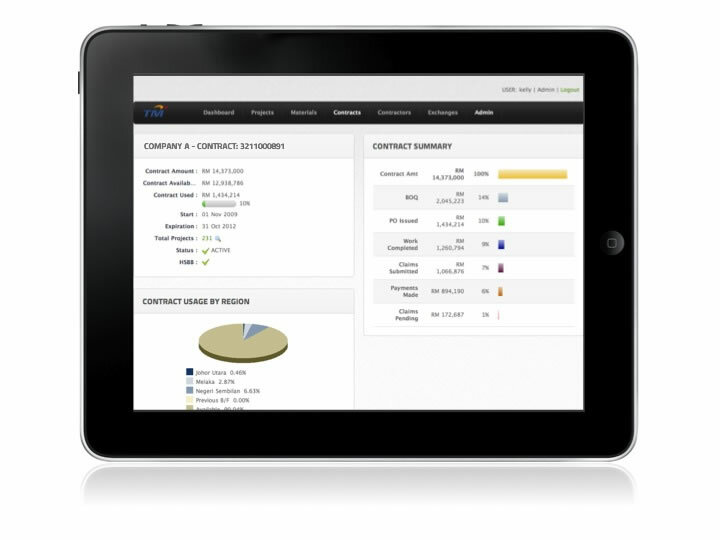 This is the home screen for the SOR Project Tracking System, displaying an overview of active contracts for easy assessment. 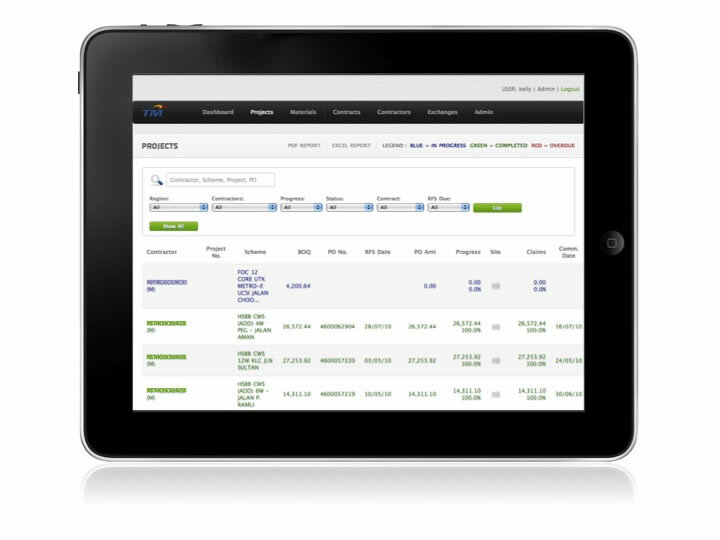 Displays active projects, which can be filtered by contractor, region, project status or contract. Shows the details and status of a selected project, such as daily activity and materials usage. Displays a report of the photos submitted to report daily activities. 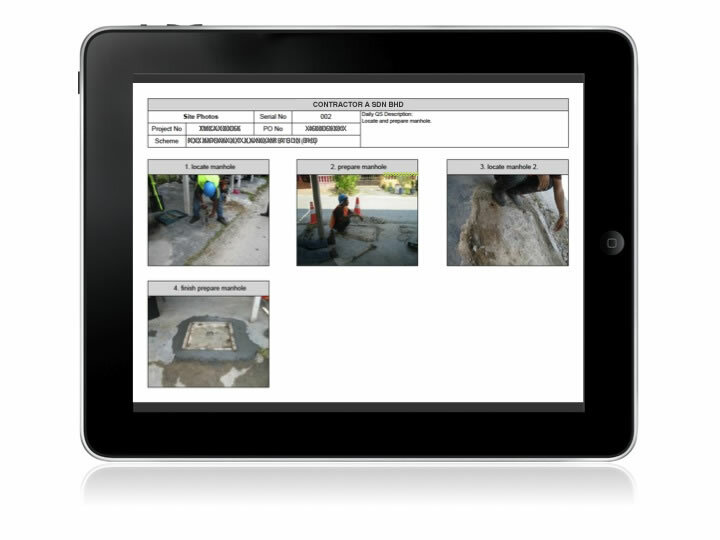 Displays a report of all of the project material. Can by filtered by material name, contractor, contract or region. Displays a list of all current contracts. Results can be filtered by region, contractor, contract type and status. Shows the details and progress for a selected contract. Shows the ratio of projects that are commissioned on time, displayed by month. This can be compared against the average of all contractors. Allows assessment of a selected contractorâ€™s performance in comparison with others. 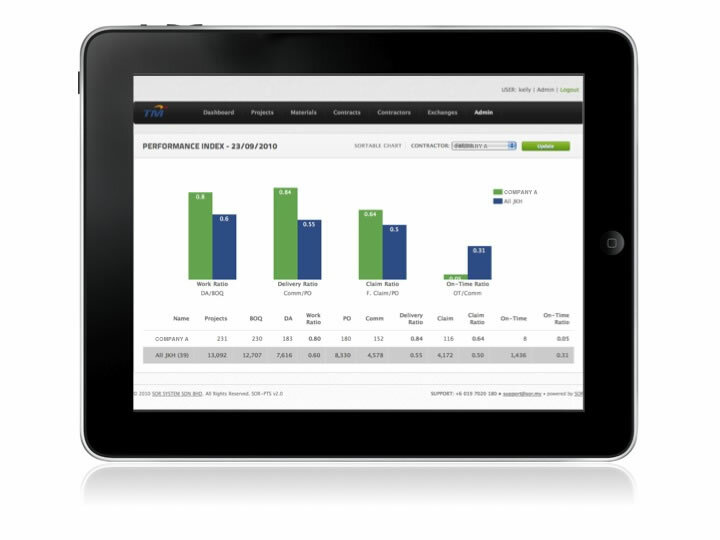 Four different indicators are used to determine the level of performance.